Sjuhäradsform ft. ±Easy Piece @ Rydals Museum Dec 14 - Mar 8. Det blir gränsöverskridande samarbeten och tolkningar i museets textilverkstad inför och under utställningen. 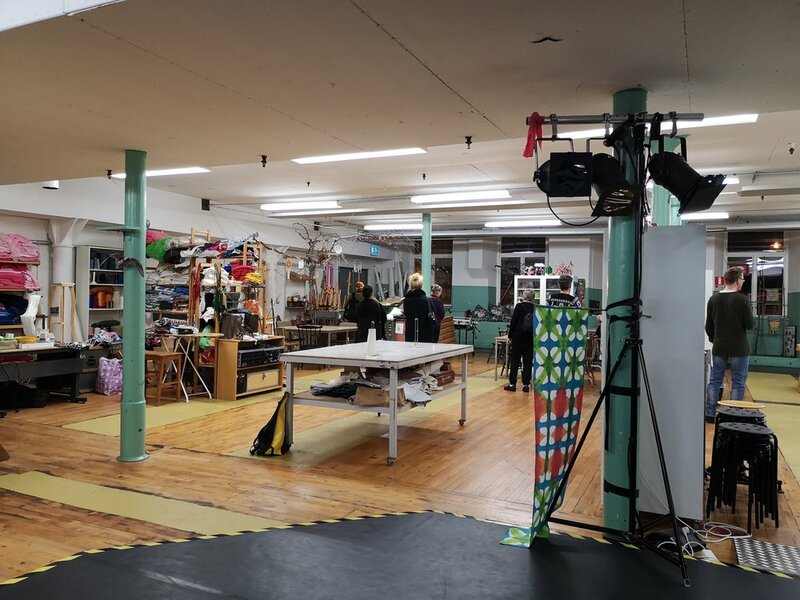 Some exciting collaborative interpretations will take place in the museums amazing textile workshop space. Wonderful creations by the children in a hands on workshop, led by slow creations, and exquisite exhibition of the results at Fiberspace Gallery in Stockholm last week. Petra Holmberg’s personal collection. Handmade 2017 in Sweden from silk fabric dyed ca 2014 (avocado and rust) and re-dyed with Japanese indigo in Japan, 2017. Boro inspired show case. Natural Dye (pomegranate and avocado skins, avocado pits, rust). Handstitched and sewing machine. Silk and cotton. For Runa Juhanisdotter. Natural Dye (blue berries, red onion skins, rusty things… Handstitches and sewing machine. Silk. Personal fabric collage for Runa Juhanisdotter. Collaboration between Leluma Design and Bybaba. Working on ±Easy Piece Modular hack prototype. Upcycled plastic and Runa’s personal waste. ±Easy Piece weave n’ knot by Bennelle and upcycled ±Easy Piece raincoat by erie berlin. Work in progress. Collaboration between Bennelle and Bybaba. Linen/cotton croched and vintage Norwiegan wool sweater.